This is one time where I prefer a slide-show vs video on Snotr. PETA, the cows are uncomfortable after the surgery. What blockheads. We're all uncomfortable after a surgery for a bit f-ing imbeciles. Is this how you want to play it? Immediately after my video about Natalie Portman and her compassion about animals? And can't they measure digestion and other health issues in any other way than this? My god could he have drug that out any longer???? He managed to turn 4 sentences in to "war and peace"
No No No No No this is not nice, it doesn't even have a cover on it to keep flys out, NO NO NO NO NO!!!!!!! Is this where the term "Holey Cow" comes from? i get this pop up on some of the snotr pages from adxchanger.net any one else getting them ? Yes #7 some vids are impossible to watch from iOS devices because of the ads provider, i said it several times..
#5 There is a bung to seal it most of the time. #7 I wonder if Admin knows what is happening with the ads, like #8 says the site is unusable on iPad again because of these spam adverts from fake competitions - “Congratulations! You have won...” You can’t even hit Back because it has loaded dozens of pages within a second! Come on Admin, you tried this once before! I’m sure they pay you well, but only while anyone uses the site!! 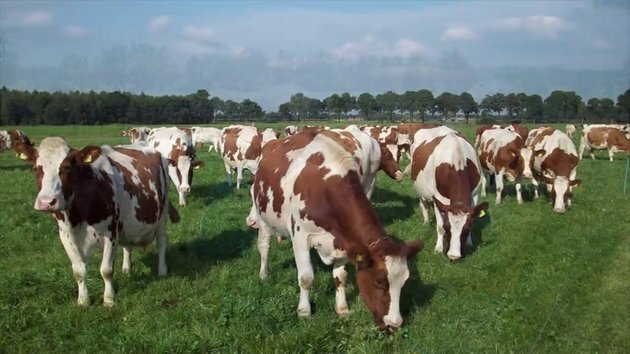 As I am aware, in general cattle should graze on the meadows, feed on grass and hay, although in reality, the animals are fed with starch-containing grains instead, mainly corn, to increase growth rate and produce tenderer meat. This causes the failure of one of the four chambers in the cattle stomach, which causes indigestion, thus the need for a solution = cutting a permanent open hole/flesh/wound on an animal that you will eventually consume. This also increases the chances of pathogenic E.coli bacteria formation in the cattle, which led to infected animals, contaminated meat and ill/sick people. Please correct me if I'm wrong,; the recollection of my memory about a research done in the past might not be the most accurate.